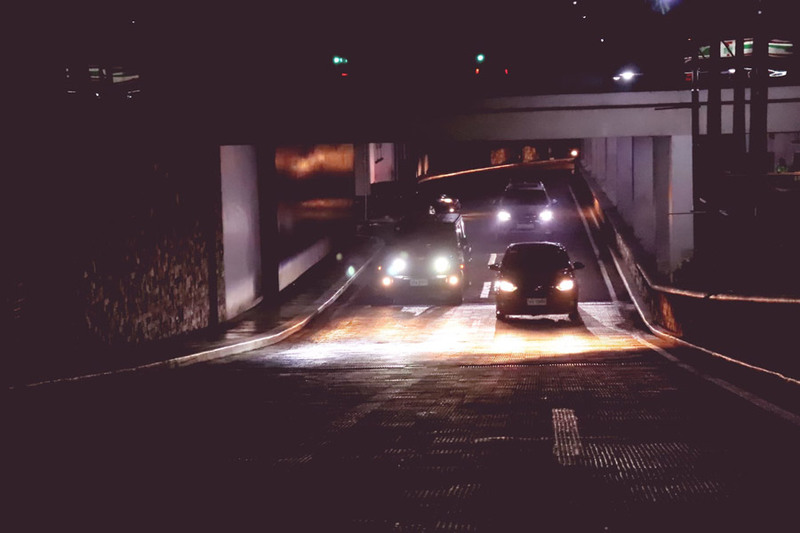 Xenon lamps produce bright, white light that’s most commonly used in car headlights. You may also find xenon lamps in flash photography applications, as well as a variety of indoor and outdoor specialty applications such as flood or security lighting. If you’ve ever started your car and asked yourself, “how does a xenon bulb work?” this guide should answer that question for you. Xenon lights are arc lamps, which operate in a way that’s similar to capturing lightning bolts and maintaining them under controlled conditions. Of course, the science runs deeper than that, but it’s a helpful thought exercise if you’re wondering how xenon lights work. Before discovering the process behind how the light is created, you need to understand the structure of a xenon arc lamp. The main component is a glass tube that has tungsten metal contacts called electrodes on each end that conduct electricity. The glass tube is filled with xenon gas at either a very high or very low pressure. Now that you have a better understanding of how xenon lights work, you can feel more confident buying them for your lighting needs. We’re proud to offer a huge selection of krypton and xenon lamps for a wide range of applications. Whether you need xenon flood lamps or specialty bulbs for screen printing or photography, you’ll find the best selection and best prices at Atlanta Light Bulbs. We love answering questions like “how does a xenon bulb work?” so please feel free to get in touch if you ever want to learn more about how light works, how to select the right lamps, or how to install them properly. You can reach our experts by calling 1-888-988-2852, emailing help@atlantalightbulbs.com, filling out our contact form, or clicking the live chat button below. Save on quality xenon lamps today!